How are you doing? I’ve missed you, friend. Don’t just be busy for Christmas this year. It’s too beautiful to miss. Let’s hear God’s Whispers of Christmas! I’ve been asking God what He would have me do next. As I’ve thought about our amazing community, I felt God’s inviting me to encourage you in 3 radical ways below. Oh, first big news! Because of your support, gifting & recommending the book – Whispers of Rest has soared as the TOP 100 Book on Amazon for SEVEN MONTHS in the Worship & Devotion Category! WOW! Thank you, sisters! And the book is continuing to sell steadily, like rain gently falling in autumn to water the earth! Your support blesses my ministry of encouragement to you. I’m so grateful! Henry David Thoreau said, “I went to the woods to live deliberately.” What does it mean to you to live deliberately? What does it a meaningful life look like in your life and how you can find the answers with God in a personal way? 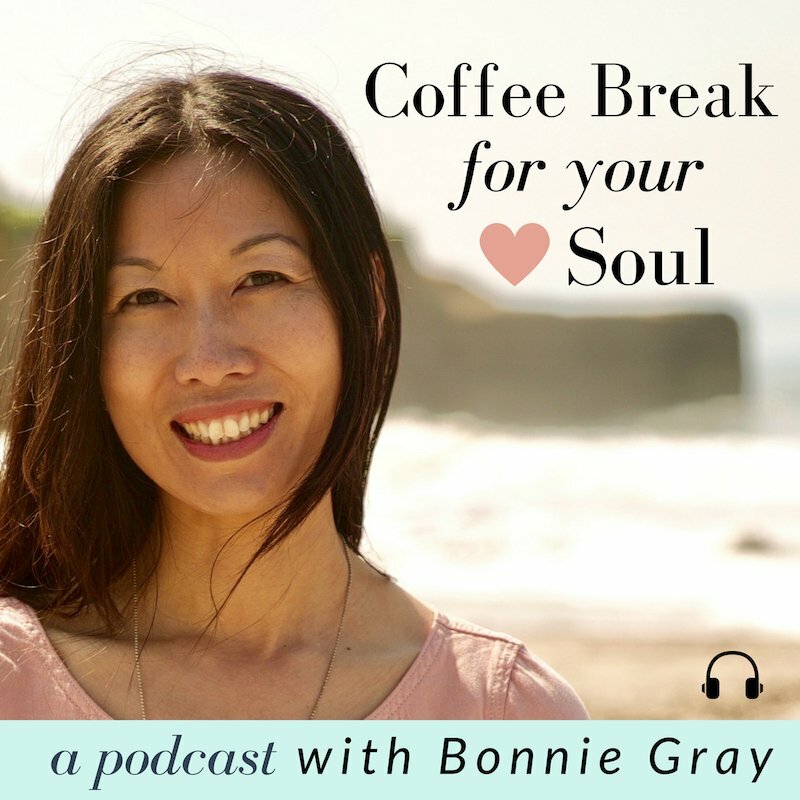 LISTEN TO THE PODCAST NOW: Just click here to listen to the podcast on the blog, friend! Or Click here to listen on iTunes and download to enjoy on a walk! Listen to a new podcast every week. 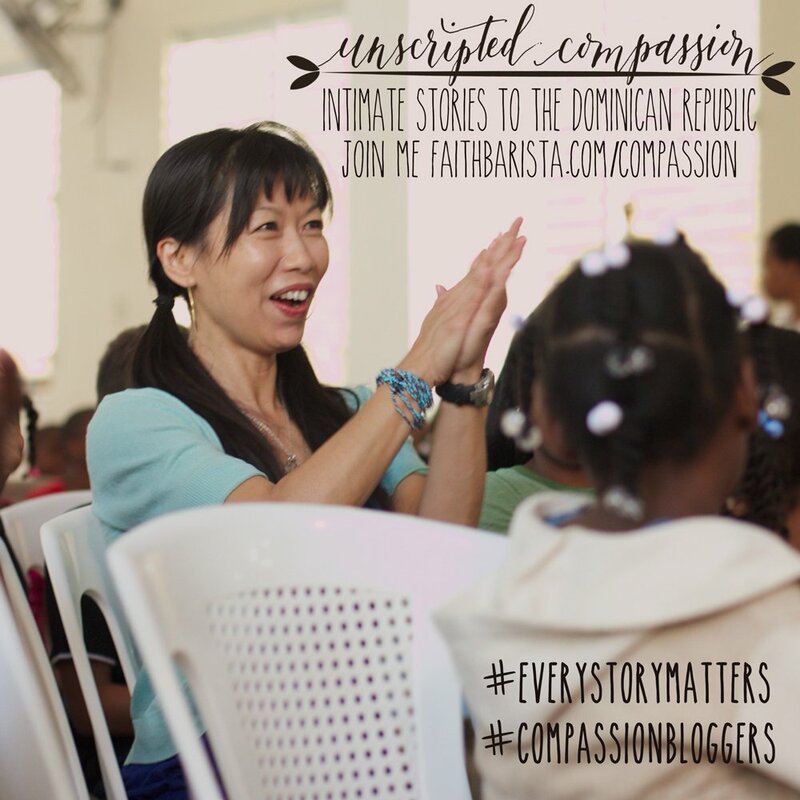 I’ll take you on my personal journey to build a life of meaning as God’s beloved! 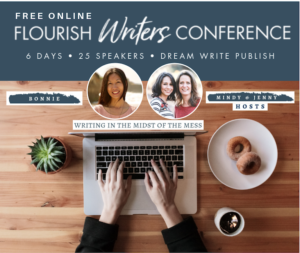 Rather than disappearing for 2-3 years to live my life & write a book, I’m sharing what I learn, as the journey unfolds with you! On Monday December 4: I’ll do a Special 4-Week Advent Series Podcast: Whispers of Christmas! Get ready to truly experience Christmas in your soul, friend. Spread the word! Why it’s difficult to nurture yourself? What are “Lighthouse Questions For Your Soul”? I also answer Readers’ Questions! How do I know if an idea I have is God’s or my own? and it causes conflict with my family of origin? Click here to start listening & share with a friend! 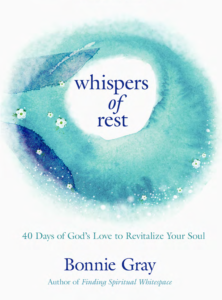 Inspired by my 40day Devotional Whispers of Rest: Revitalizing Your Soul With God’s Love. Spark joy as God’s beloved this Christmas! Give God’s love & peace to our friends by gifting copies of Whispers of Rest. 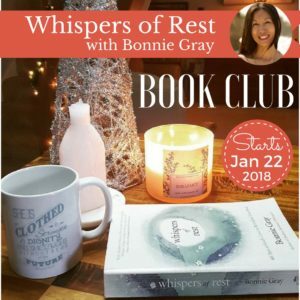 Due to popular request, I’m thinking about hosting the Whispers of Rest Book Club again in January 2018 (not confirmed. Stay tuned). If we do a January book club, it will be a SPECIAL book club because you know I’m a retreat leader right? 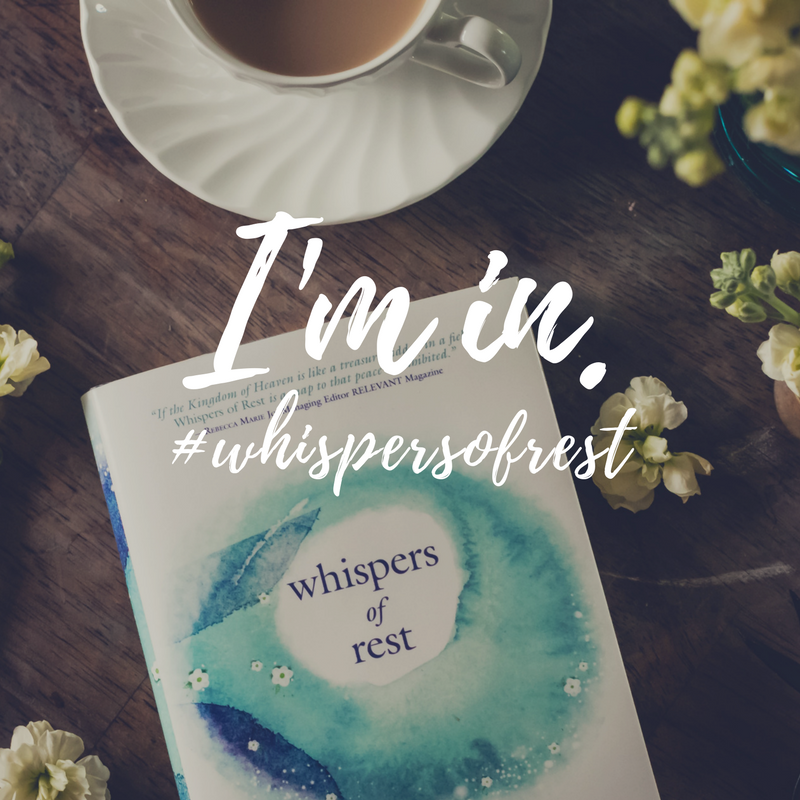 I’m planning to do some Whispers of Rest WORKSHOPS with you in Weekly FB Lives! Plans are not confirmed (still planning phase). But, does that sound fun? Would you be interested? If you would do the FB Book Club in January, click to share a comment and let me know. Thank you for my friend reading here with me. 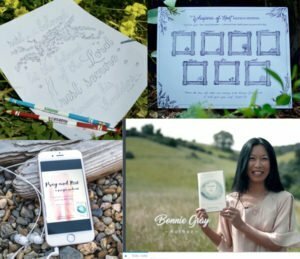 Sign up at whispersofrest.com to download all the free bonus resources: 6 Coloring Pages, 6 Prayer Podcasts & a Weekly Journaling Art Page. ** Don’t miss! ** If you are new here, I’d like welcome you to this soulful blog to refresh your soul! Click here to Subscribe to my blog & you’ll get fresh brewed encouragement! 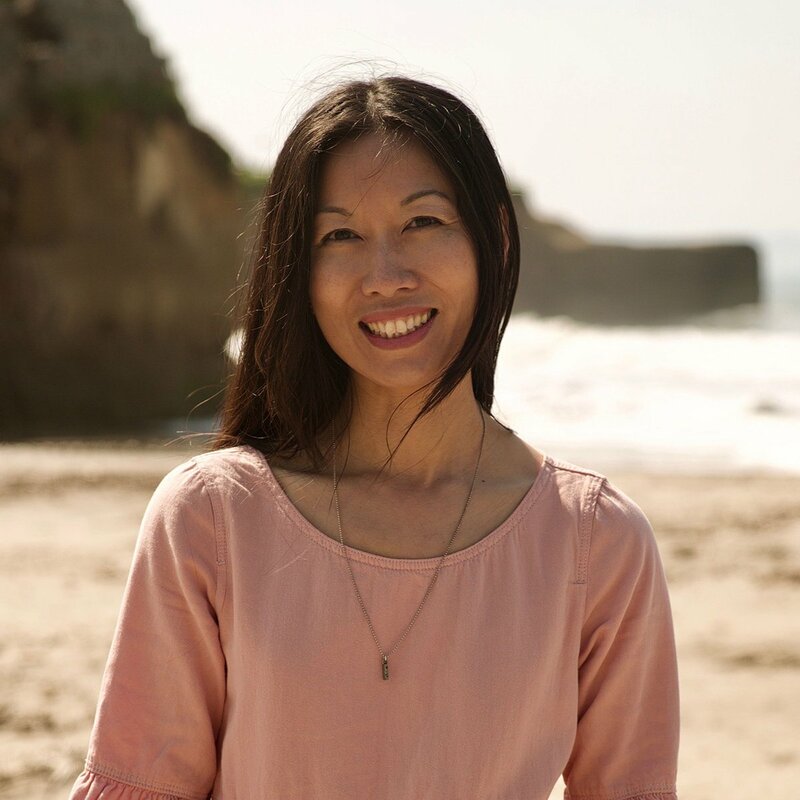 I would love to do a new Whispers of Rest Facebook teaching by you. Count me in. I did it in June (amazing grace) and turned to it again alone when the semester started and I got anxious and now I would love to do it again in January and invite friends! I have the book on order and would like to do it. so wonderful, Dana! You can sign up at whispersofrest.com for the book club, friend. It will be special to do it together. 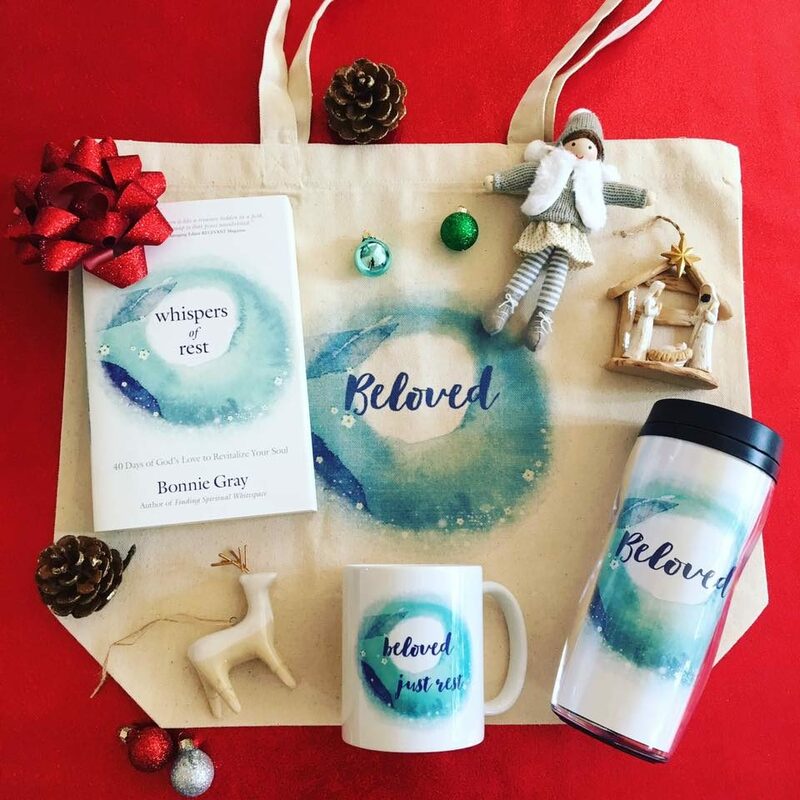 So wonderful God led you to this journey with Whispers of Rest at B&N! praise God. you can go sign up at whispersofrest.com for the book club. it’ll be great to do this together in community. At last I can talk to you from New Zealand to say Thank You for amazing insight and writings. I love your thought process and your books. I would love to join your book club especially as it will touch on the soul and spirit. Thank you, Anna – for sharing such a tender part of your heart. Now, I will think of you as I record my podcast. One among the sisters in Christ for Whispers of Rest. Just purchase a copy the book & then go sign up at whispersofrest.com for the book club. I would like to do the FB club in January. Count me in!